February was a special month. We had a lot of time to publish new great interviews and work on different features. This resulted in a lot of new users on our website, hundreds of email subscribers and our first dollar (which, in fact, were $160!). Welcome to our second-month report. Despite we started Failory a few months ago, it was just in December when we took some courage and wrote our first-month report. In January we announced that we weren't going to publish an article, as we haven't had too much time to work on the project. But we are back. We are still figuring out how should we write these reports and which format should they have. We couldn't come with any great idea for this month, so we will keep the same format we used in December. That month, we included in the marketing section, everything that had helped us attract new visitors and emails subscribers. So we will do the same on this report. You are now warned that in this section you will not only learn about the marketing strategies we have used, but you will probably also read about new features we have built and cool side-projects we are trying to launch. Let's move into the interesting and funny part. Our month started with the launch of Entrepreneurial Lists. Everyone knows how engaging lists are. Every day, thousands of websites publish articles listing their favorite tools, articles, products, websites, videos, or whatever you can imagine. We have always been big fans of Product Hunt, and we have always been shocked by the ridiculous amount of upvotes products featuring the best tools for entrepreneurs/startups receive. In fact, the most upvoted product ever on PH was Startup Stash, a curated directory of 400 resources & tools for startups. 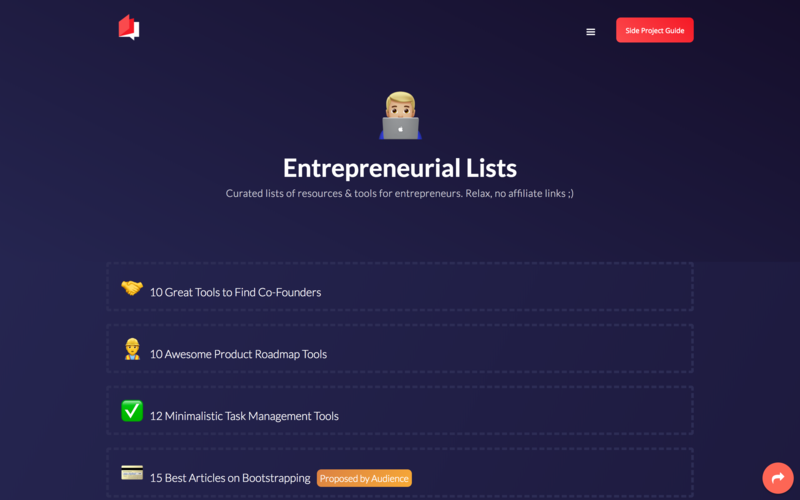 That is why we decided to build Entrepreneurial Lists, a page with curated lists of resources & tools for entrepreneurs. We launched it the 2nd of February, with a pretty successful campaign. But before the launch day, we spent weeks curating resources, brainstorming ideas, designing the website, building it on Webflow and preparing the marketing campaign. Let's take a deeper look at this cool side-project. We wanted our project to be different from the other millions of websites featuring entrepreneurial tools. So we decided that we would keep it stupidly simple: just the name of the resource and their link. But that was not enough. Our tool was still really similar to the rest. That's when we decided that we wouldn't only feature the greatest tools to do X, but that we would also recommend learning resources, articles, blogs, and twitter followings, among others. It would be more like page with recommended resources to learn about entrepreneurship and tools to carry out those lessons building a business. At the end of January, we did a re-design of the homepage, in which we changed the boring square view for a nicer list view. To design Entrepreneurial Lists, we copied the design of those lists and adapt it to what we needed. We wanted to keep the project cool and funny, so we included emojis on each list. Moreover, we took a look at the other websites featuring startup tools and realized they all had a logo or an icon they identified with. That is why we decided to put a big emoji at the top, which is the one we then used as a logo. Once we had the design, it was time to develop the website. We, of course, did it with Webflow. If you are not yet using Webflow, we can't understand why. It makes everything so simple! Building the Entrepreneurial List page took us less than two hours, and only because we are still learning about how to use this great tool. But we are sure someone with a bit more experience can create it in less than 20 minutes. We prepared and carry out a really successful launch campaign. We started by promoting it on Product Hunt. It went okayâ€¦ We didn't achieve the front-page, but still got 25 upvotes and some visitors. More importantly, we received some feedback on how could we improve it. We then submitted it to Designer News, where we got 15 upvotes, Hacker News, which was a complete failure, and on different subreddits, which went pretty well. Moreover, we shared it on our social media and a few communities. Until now, it was a really similar launch campaign to the thousands of products that are launching every day. However, we carried out a great strategy on Twitter. We scheduled +30 tweets along all the launch day, tagging each of the companies and products that our lists were featuring, and sharing the link to Entrepreneurial Lists. It was really time-consuming, but it totally worth it! We supposed that the companies we were mentioning would be happy to like and retweet our tweet. And that was exactly what occurred. Some of our tweets went â€œviralâ€� and meant many visitors to the website. We also got many new followers that day! Entrepreneurial Lists was viewed 3,826 times in February, being the second page with most page views on Failory of the month. But this is not allâ€¦ Many websites found Entrepreneurial Lists really interesting and created some backlinks to it, which is awesome as we are planning to rank with it by different keywords. Moreover, Pieter Levels, the guy who has mainly inspired us to create Failory, tweet about our project. Our interviews are still our main source of traffic. 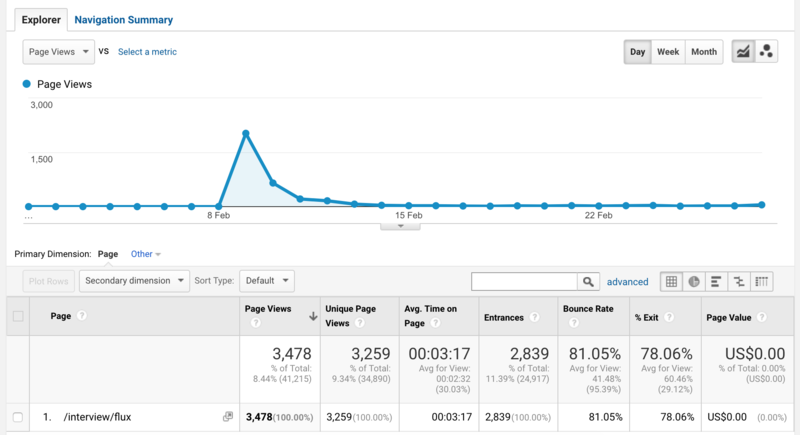 In February, they represented +30% of our page views. Some of them receive much more traffic than others. This not only depends on the quality of the interview, but also in the way we promote them. Let's start with the first one: Botnim. We shared it in different places, and we wanted to get viral on Hacker News. That is why our interviewees, Shaked and Gilad, asked their friends to help them with an upvote. As soon as we submitted the link on HN, we sent it to Shaked and Gilad, who immediately upvoted it and asked a few friends of them to do the same. In less than 5 minutes, 6 people had upvoted the link, which is an amazing number. But when we checked the front-page, we were not still featured there. A few more minutes later, 2 more people upvoted the interview, but nothing worked. Unless Hacker News reported the link as SPAM, we can't understand what happened. The second interview we published was a complete success. It was with Jan Johannes, founder of Flux, a modular multi-messaging client. The promotion strategy basically consisted of Reddit. Before publishing it, we identified a few subreddits that would find the interview interesting. It was really tech-related, so we searched for subreddits like /r/webdev and /r/programming, and shared it there. The post on the webdev subreddit went completely viral. It was upvoted +290 times and received 5.8K views. The post on the programming subreddit went even better. Not because of the number of upvotes or views. In fact, the interview was only upvoted 18 times. But the programming subreddit only accepts links, so this meant a lot of traffic. Until now, the interview has been read 3,478 times, representing the 8.44% of the total page views of the month. The third interview of the month was with Cody Howell, a man who failed to build an online store where individual sellers could go to sell their products. It went okay. It wasn't a thoughtful interview with lots of lessons and mistakes to learn from. It was just an interesting story. It only received 1,068 views, mainly coming from Designer News and Reddit. Finally, the last interview was with Dave Desi, founder of The Nerd Cave, a truly safe space for gamers of all kinds. It is such an awesome interview. We published it only a few days ago, and it has already been read 2,250 times. One more time, most of the traffic has come from Reddit. As it was an interview related to games, we promoted it on /r/gamedev. It received 42 upvotes, which kept it on the front page for some hours. Gamedev subreddit accepts links, so instead of writing all the interview on the post as we usually do, we just shared the link. Big success! A few weeks ago we published a survey on our homepage asking our users to help us decide what should we build next. By far, the winning option was "Interviews with Successful People who had to Overcome Big Stumbles". We began working on this at mid-month. We are trying to stop being just a place of interviews with failed startups and create a website with many more tools and resources. That is why interviews with successful entrepreneurs was a great method to expand our scope. We described the process of getting interviewees in our previous monthly report. It is really time-consuming as we have to email a lot of people, and only a few are willing to answer our interview. So we postponed this for a few days, until we finally took some courage and did it. We got many more interviews than we have expected (and there are still some people writing them). We have a long queue of interviews to publish during the next weeks. Our initial plan was to launch them all of them at the same time. We wanted to create a different page where we would constantly publish new interviews with successful entrepreneurs. However, we decided to start publishing the best interviews we have received on our blog, and then move them to the new page. The first interview we published is called â€œBootstrapped e-Commerce Making $100,000/Monthâ€� and the interviewee was Eric Bandholz, founder of BeardBrand. This interview is so great! If you haven't read it yet, you should take it a look now. Great quality of interview, plus a catchy headline, plus a perfect promotion strategy, resulted in 2,414 reads. It went viral on /r/Entrepreneur and /r/EntrepreneurRideAlong, but this didn't mean many visits, as we had to publish the content of the interview, instead of the link. Designers on DN seemed to like a lot the interview. 11 upvoted it so it stayed in the front-page for an entire day. Furthermore, some people (somehow) arrived at the interview organically. The second interview is called â€œHow Ron Makes $10K/Month With 6 Different Websitesâ€�. The interviewee is Ron Stefanski, a guy who is making $10,000 per month with 6 different websites. We published it the same week we published the BeardBrand one. It was read 2,531 times, most of them coming from Designer News. On Reddit was a complete failure, but designers seemed to like it, so we are happy anyway ;) Moreover, the average time per page on that interview is incredible: +7 minutes! Finally, the third interview we have published is named â€œHow Lidiya Built a Personal Development Blog Earning $2,000/Monthâ€�. Lidiya is a full-time freelance writer who has started Let's Reach Success, an authoritative site on anything related to personal, spiritual and business growth. She is earning $2,000/month. We haven't finished promoting it, so there isn't too much to say. This month we kind of stopped working on some of the marketing strategies we mentioned in the previous report, such as SEO, PR coverage, and newsletter cross-promotion, to put a big focus on keep improving Failory, launching new interviews, building new features and interacting with our users. However, we are still putting big efforts on social media marketing. We love Twitter, so we are working hard to get new followers every day, to create a great way to communicate with our users and share our interviews. In February, the social media that meant the biggest traffic was Reddit, representing the 56,52% of the total coming from social media. 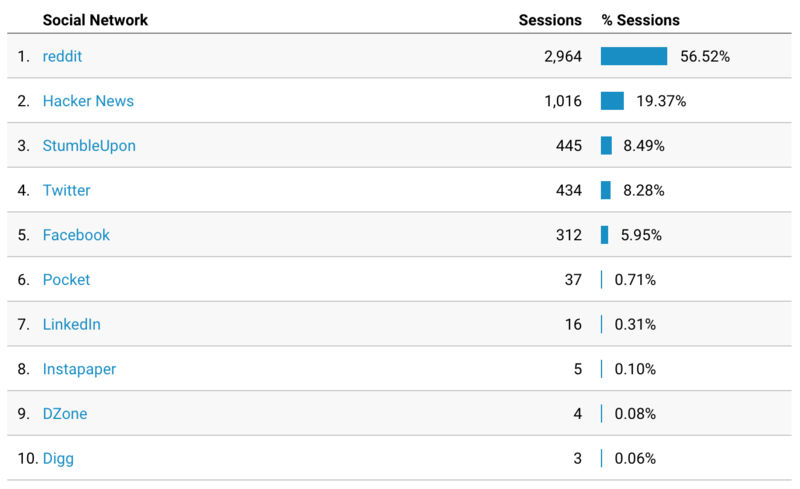 Hacker News also gave us some traffic. Moreover, we received 434 sessions from Twitter, representing 8,28%. A few week ago we started sharing our interviews on StumbleUpon. We don't like too much this social media, but it sends some traffic, so it is okay. We just share the link and create a ViralContentBee campaign to get some votes. We don't understand yet how it works and how we can take the most advantage possible. But we will read and search about it soon. Quote about entrepreneurship. In most cases about failure. Link to a great article we have found. Quite random. We usually post pictures, thoughts and comments of entrepreneurs, list of tools and videos. This is quite time-consuming, so we need to rethink it. On every tweet we send, we try to tag someone or a company so that they retweet it, and more people find us. At mid-month, we start sending the fourth tweet of the day. But this one is totally automated, by Quuu. This tool curates articles and schedule tweets. We are just testing this new technique, so maybe we realize it doesn't have engagement and we quit it. 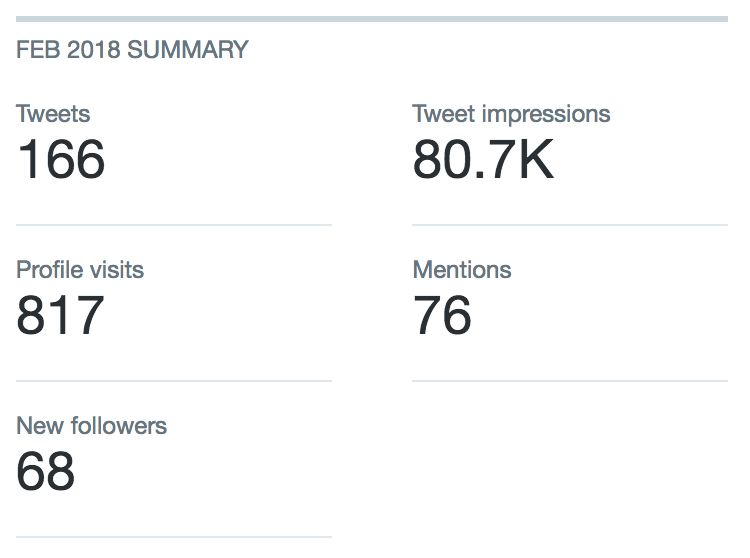 Our Twitter analytics were quite great this month. We got 68 new followers, tweeted 166 times, and had 80.7K impressions. One of our tweets even went viral. We shared a great article we had found in which @ajlkn talks about how he built Carrd. He has +43K followers and he retweeted our tweet, which meant a lot of new likes, retweets, and followers. As for Facebook, it has generated 312 page views. But we have almost gave up on FB. We got a few more likes on our page, but if you don't pay, your posts aren't seen by anyone. We only share the link of new interviews, just because it is easy to do. But we will soon stop doing it. What we will probably continue doing is sharing our interviews on different FB groups. We have to search for more active groups and not just spammy ones. We still have to work on this strategy. One more thing about social media marketing. There is a lot of opportunities on Quora and Pinterest. We need to read about them, as we don't know much yet. But they can be great ways to get some traffic to our interviews. We are principally enthusiastic about Quora. Our friend Emil Bruckner has built a great tool that helps you find great questions to answer. It is called â€œFind Better Questionsâ€� and is free. So we will definitely start using it soon! Our website, due to the type of content we publish, is always receiving big spikes in traffic, when we publish a new interview, but big downs, when there is any new content. It is something we will have to learn to live with, until we find other marketing strategies that don't depend on our content promotion strategies. Our website is receiving an average of 670 users and 894 sessions every day. 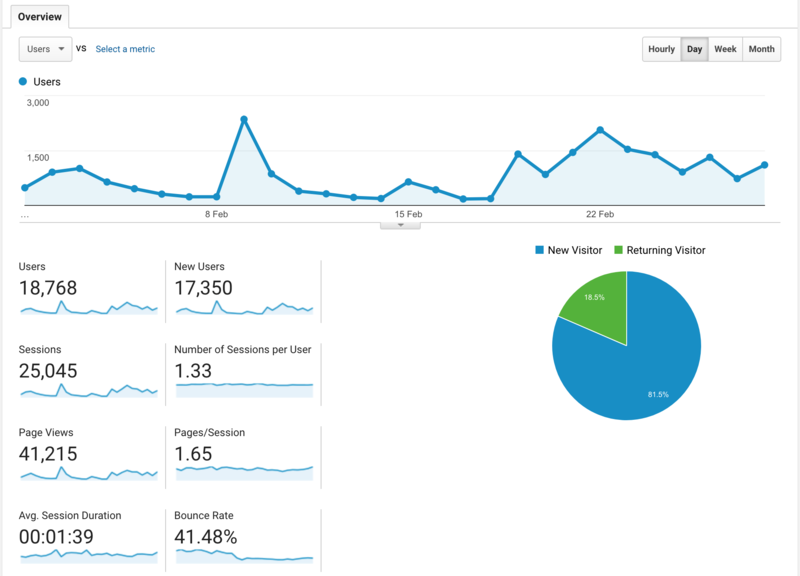 During the first days of February, our traffic was quite low. We were only getting some spikes every time we published a new interview. However, this changed from February 19 towards. That week, we published 3 interviews (one interview with a failed startups and two interviews with successful entrepreneurs). 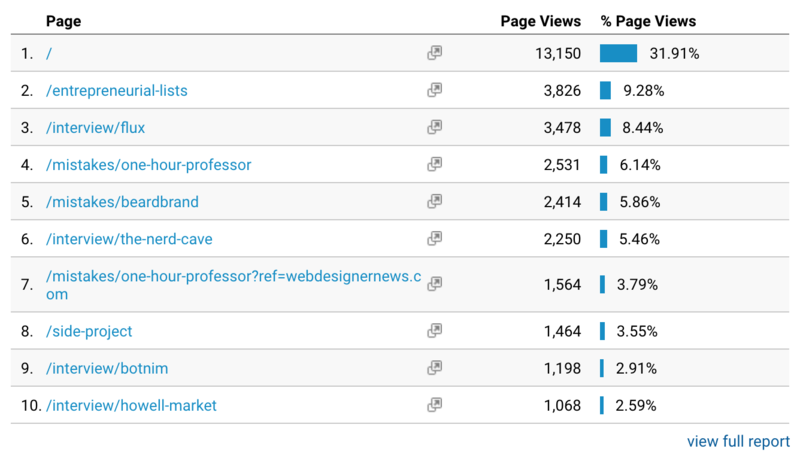 We also asked for some design feedback on DN, which sent us a lot of traffic. We will try to keep the traffic this high, by publishing 2 interviews every week. We had faced some problems tracking the number of our email subscribers, so this report will just be approximate. At the end of December we had 2,759 email subscribers. We got a lot during the last days of this month, due to one of our articles going viral on Hacker News, and our free eBook. However, when launching the eBook we committed a big mistakes. We start adding everyone who downloaded it to our email list. This meant a big decrease in the quality of the list, and lower open and click rates. To stop this, we created a question on the eBook landing page, just below the download button, asking people whether they want to receive our weekly emails or not. This has helped us a lot to slowly start recovering the great quality our list had. Due to many people unsubscribing from our newsletter, at the beginning of February, we had almost the exact subscribers we had in December: 2,759 approximately. We have finally made our first dollar from Failory. One of our goals last month was to start monetizing this project, and we achieved it. We earned $160 coming from sponsorships on our newsletter. A few weeks ago, the founder of ThoughtLeaders, a website that connects newsletters with advertises, contacted us and proposed us to start working as a publisher. Our list was small at those times, but with the rapid growth we achieved in December, we were now able to start monetizing the newsletter. According to our subscribers and open and click-through rates, we agreed that $60 was a reasonable price for a sponsored email. However, as they are they search for companies who want to advertise newsletters, they are staying with $20. So, we are earning $40 with each newsletter we send. We know it is quite expensive, but we don't have too much time right now to search for advertisers. And with this tool, we don't have to do anything, more than to include the ad in the newsletter. 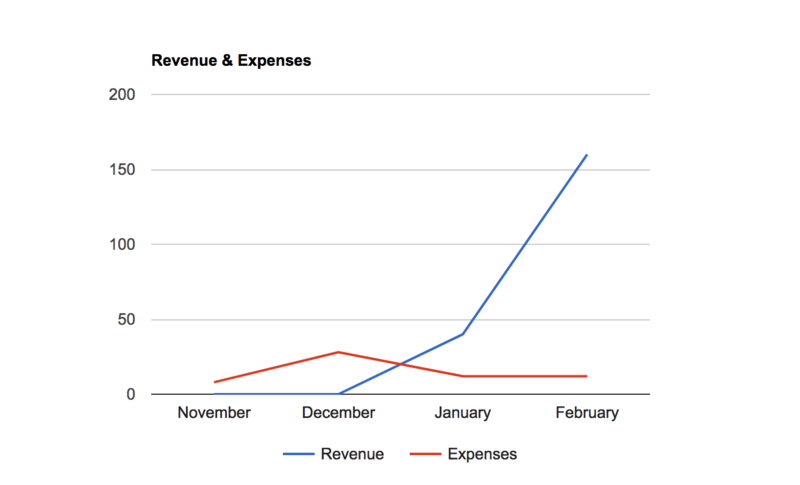 On February we sent 4 emails, resulting in $160. The first 3 emails were sponsoring Monday, a great team management tool. The next email was sponsoring Builder, a tool that transforms ideas into products. For a few weeks (and probably months), we won't focus on any other monetization strategy. We want to implement affiliate marketing and create a subscription model website with a community and some great things we are still figuring out how to create. We will also add advertisement on our home page. However, we won't look and reach advertisers. Instead, we have included a little card on the homepage, telling advertisers to contact us if they want to reach +15,000 startup owners per month. This month we almost didn't have expenses. Just a $12 payment of the Webflow subscription plan. So we will reinvest all the rest in new content, improvements on the website and new features. Last month goals were a bit too ambitious. We are not great at setting goals. We set some really difficult goals, and some really stupid ones. We can't find the middle between easy and impossible. âœ…Publish 5 interviews: We published 4 interviews with failed startups and 3 with successful entrepreneurs. â�ŒGet into the front page of Hacker News: We didn't achieve the front page of HN in February, but we did it at the end of January. âœ…Receive at least 15,000 sessions: We got 25,045 sessions. We better the goal by 66.97%. âœ…Get +400 new email subscribers: We now have 891 new email subscribers. 122.75% than what we were looking.  â�ŒGet +120 Twitter followers: This was a really difficult goal. We could have achieved it, but it would have meant a lot of time spent on Twitter that we preferred to spent improving Failory. We got 68 new followers, which means -43.33% than our goal. Get 300 new emails subscribers. Thanks everyone for your support this month. We have received a lot of nice feedback and kind words, which keep us motivated to continue working on Failory. Remember to email us if you have any feedback, ideas, recommendations, or just want to talk.